North Table Mountain, Jefferson County, Colorado. Lower south slopes of North Table Mountain, above Peery Parkway, 250 m. south of the USBR monument “North Table,”1.25 km. north of the GNIS location of Golden. 39.767°N, 105.2201°W. WGS 1984 Elev. 1831 m. Small wetland where the North Table Mountain Trail crosses a watercourse below a near-perennial spring that is higher on the south slope of the mesa. Field Notes: Coll. No. 1527, 5 Aug 2016. 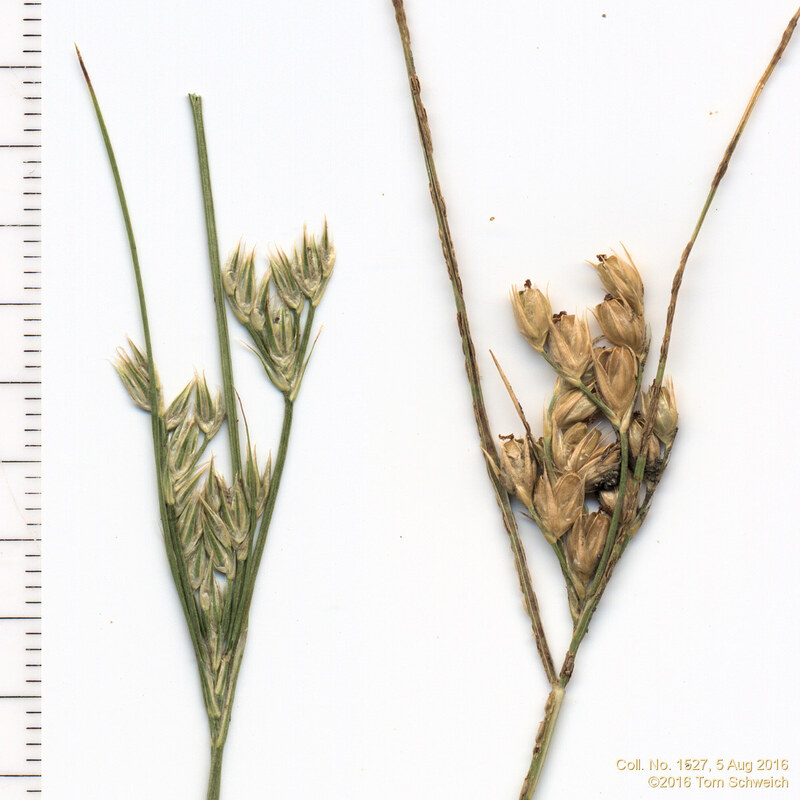 Other photos about Species or Juncaceae Juncus interior.